All the 30 Deluxe Rooms with views of the Arabian Sea and Abu Dhabi Islands are decorated in warm colours and exquisite fabrics inspired by the local culture and region. 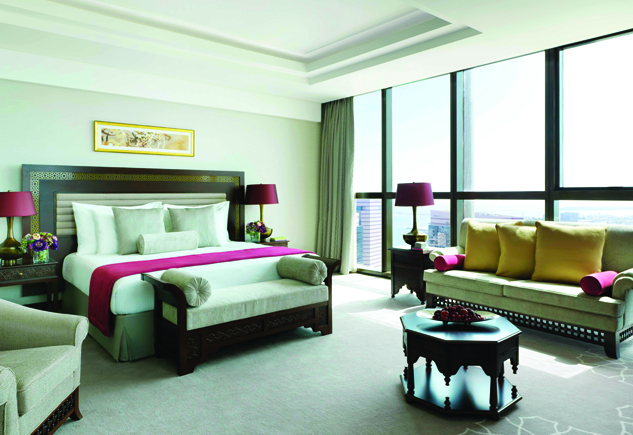 The rooms with its grand 56sqm (602sqft) are featuring a King bed, a spacious lounge area for relaxation and a work area. 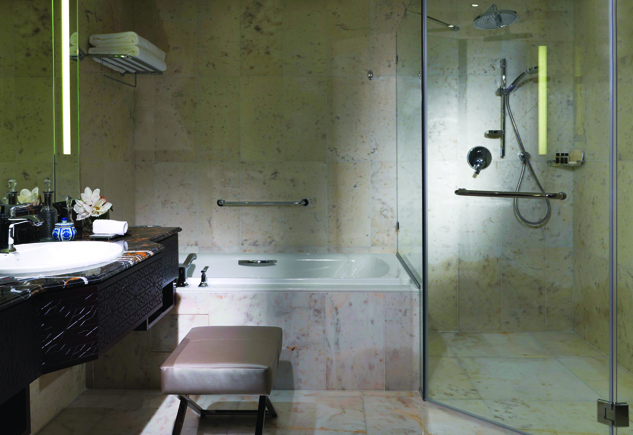 A large marble bathroom with separate walk-in rain shower and tub reflects the unique Arabian essence.